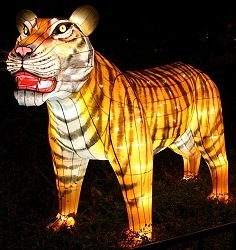 Marking the end of the Chinese New Year, Teng Chieh the Lantern Festival takes place on the 15th day of the year. 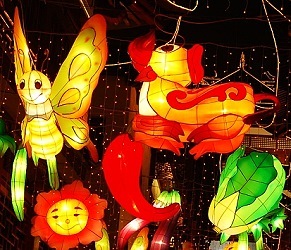 It is also known as the "Shangyuan Festival", because it falls on the first full moon night. 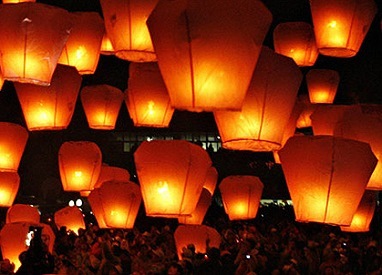 The lantern festival marks the end of the celebration of Chinese New Year and began as a religious ritual nearly 2,000 years ago. The lantern is a traditional symbol of the lengthening days of spring. Lanterns of various shapes and sizes are hung in streets, outside temples and around homes. Lantern owners write riddles on a piece of paper and post them on the lanterns. Small prizes are given for the correct answers. People eat yuanxiao, or rice dumplings, on this day. They are small balls made of glutinous rice flour filled with a variety of fillings such as sugar, rose petals, sesame, bean paste, walnut meat, dried fruit etc.. Rice dumplings are boiled, fried or steamed. Purim celebrates the deliverance of the Jewish people from the wicked Haman in the days of Queen Esther of Persia. They remember Queen Esther who saved the life of the Jewish people, as told in The Book of Esther. This is read twice in the synagogue. The name of Haman is drowned out with rattles and hooters by congregation whenever it is read. Many people come in fancy dress. Hamantashen (cakes filled with poppy seeds, literally "Haman's pockets") are made and eaten at this time. Note that in the Jewish calander, a holiday begins on the sunset of the previous day.